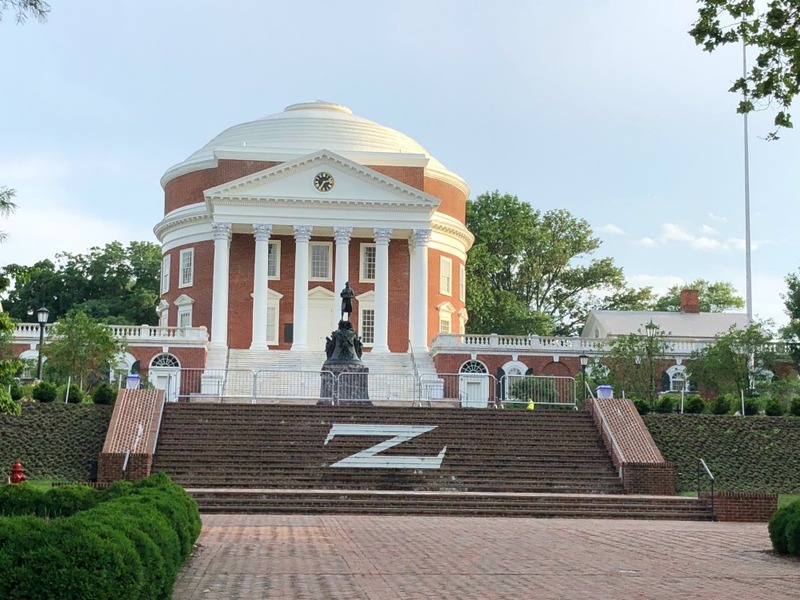 Driving four hours East of Charleston through the Blue Ridge Mountains brings you to Charlottesville, Virginia, home to three US Presidents and Founding Fathers. Charlotteville has a bustling downtown with a beautiful juxtaposition of historic architecture and modernized buildings. 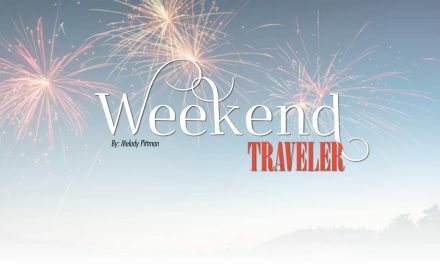 The city is also the gateway to Shenandoah National Park. A thriving wine and craft beer scene are big draws as well . There will not be a dull moment during your visit this gorgeous historic destination. Charlottesville is home to three Founding Father’s homes so you should start there. 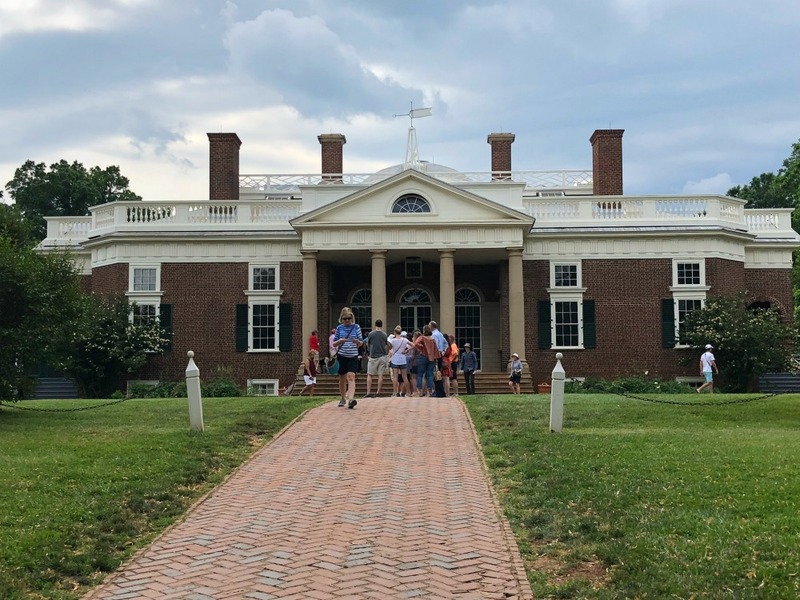 Monticello was the home to Thomas Jefferson and one of the most popular Presidential attractions in the country and a UNESCO World Heritage Site. Tours include fascinating information about the Jeffersons and his famous gardens (Mulberry Farms) on the property. Be sure to book your tour in advance as they fill up early and often sell out. Monticello is the busiest of the Presidential homes in Charlottesville so arrive early to beat the crowds. Next, stop by James Monroe’s Highland, an 18th century working farm. 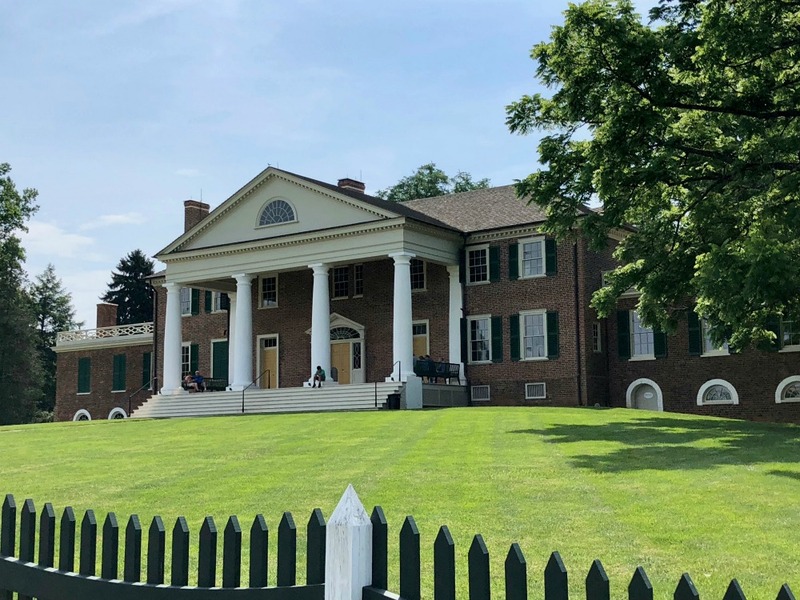 Lastly, Montpelier, where James Madison (Father of the Constitution) and his firecracker wife Dolley lived, is the final Presidential home to see. The setting of all three Presidential homes is beautiful Virginia countryside with the picturesque Blue Ridge Mountains as the backdrop. Each tour takes approximately one hour. 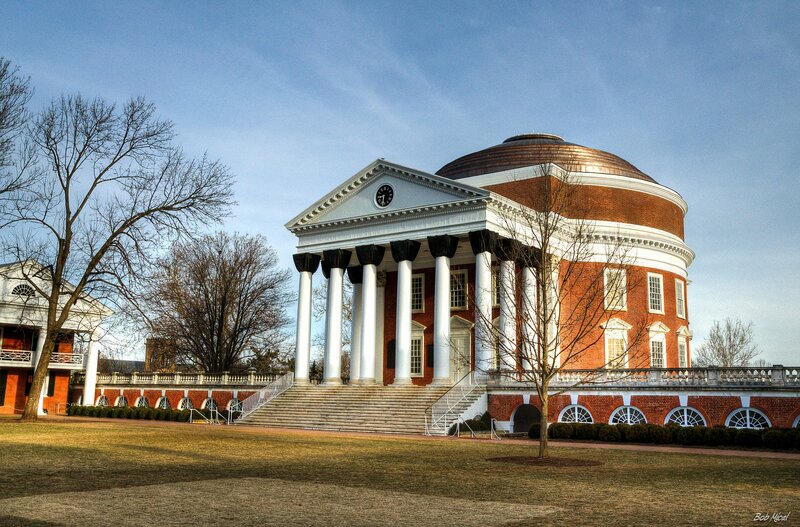 The University of Virginia is located in Charlottesville and offers a beautiful campus to explore. Later, hop over to one of the 12 parks located in the area with opportunities for hiking, biking, horseback riding, fishing, and swimming. 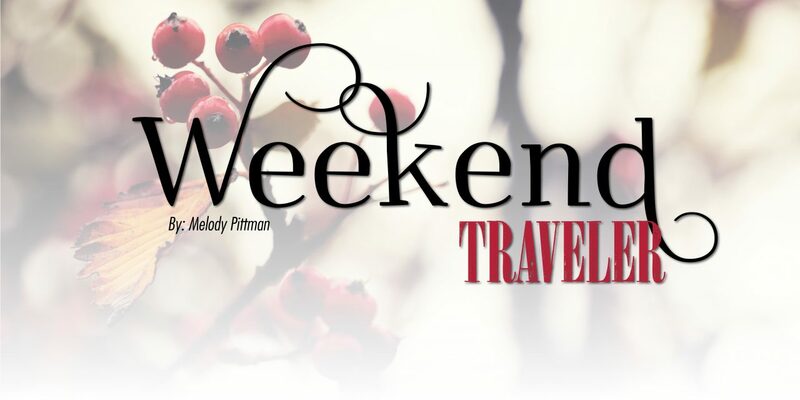 Popular trails include the Saunders-Monticello, Pen Park Nature, and Rivanna. 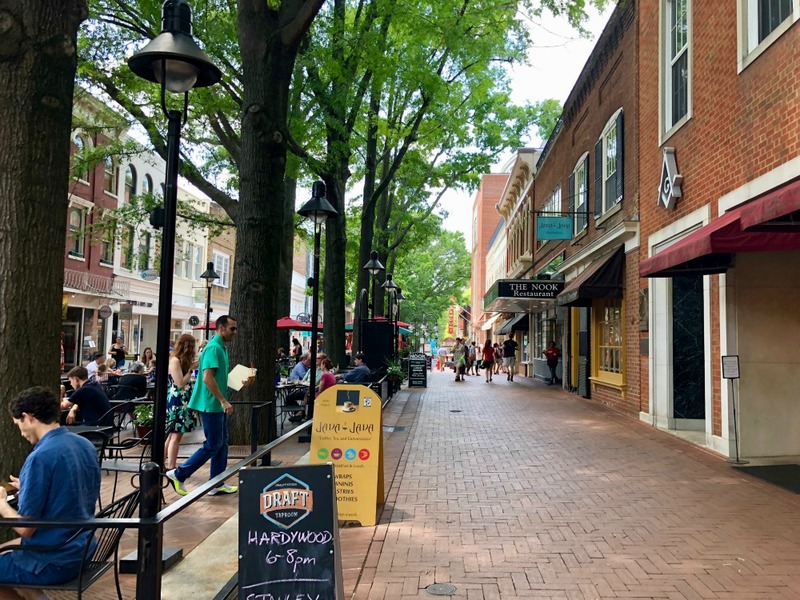 Visit the tree-lined eight-block pedestrian-only historic Downtown Mall in downtown Charlottesville for an impressive collection of over 150 shops, galleries, eateries, and a seasonal farmer’s market. 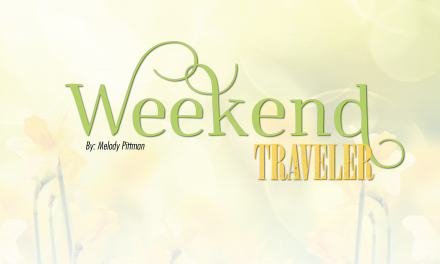 This is a must-see for everyone visiting the area. 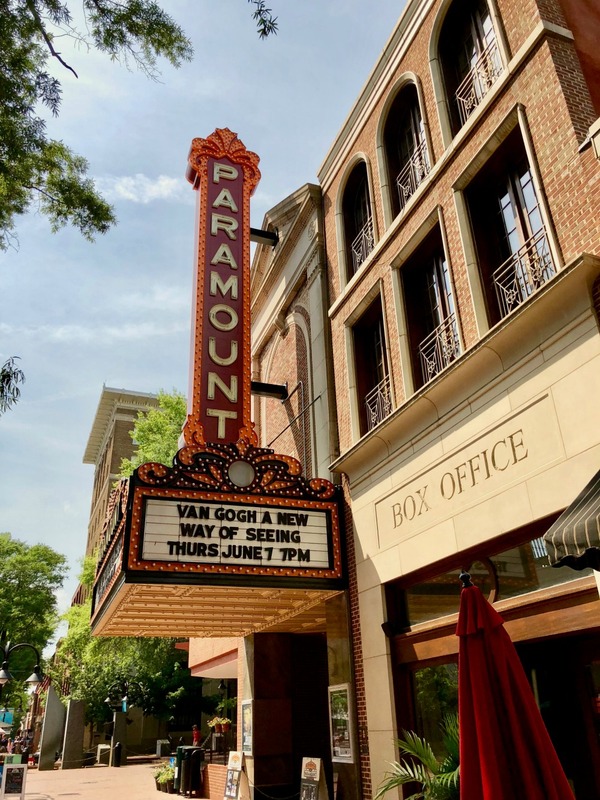 You can even catch a performance at the Paramount Theatre, a venue hosting concerts, local performers, movies, and more. This is also where the Sprint Pavilion is located, which has outdoor musical events during the spring, summer, and fall. The premier shopping attraction is Shops at Stonefield. 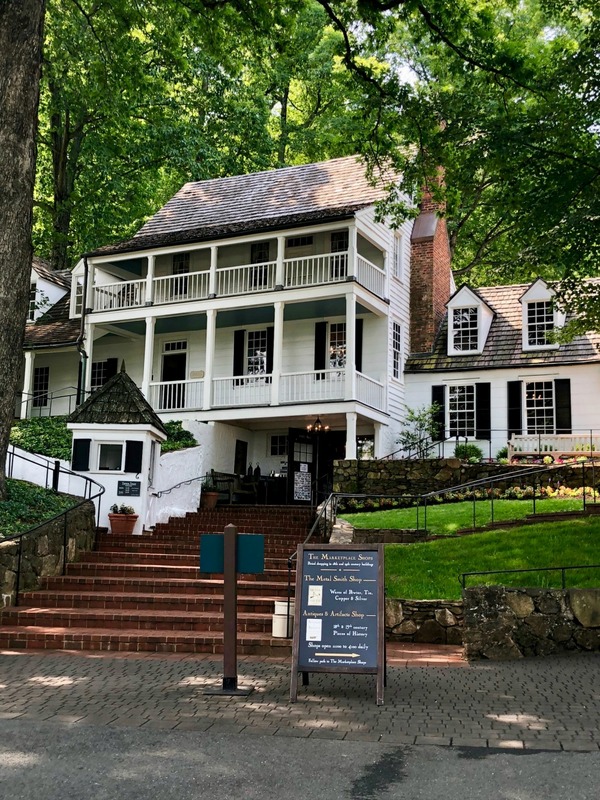 The shops include elegant stores such as Pottery Barn, Trader Joe’s, Vineyard Vines and LL Bean, and decadent dining choices including RockSalt and Burger Bach. Barrack’s Road Shopping Center is another upscale shopping area with regional shops and stores like Lilly Pulitizer, Madewell, Anthropologie, and Lindt Chocolate. Grab a delicious bagel and coffee from Bodo’s Bagels or a scrumptious donut from Duck Donuts. For lunch, try the iconic 18th-century Michie Tavern not only for the history, but for a tasty buffet. Foods that would have been served when the tavern first opened are on the menu including pork, chicken, beets, stewed tomatoes, green beans, and warm buttermilk biscuits. Don’t miss the peach cobbler ala mode. 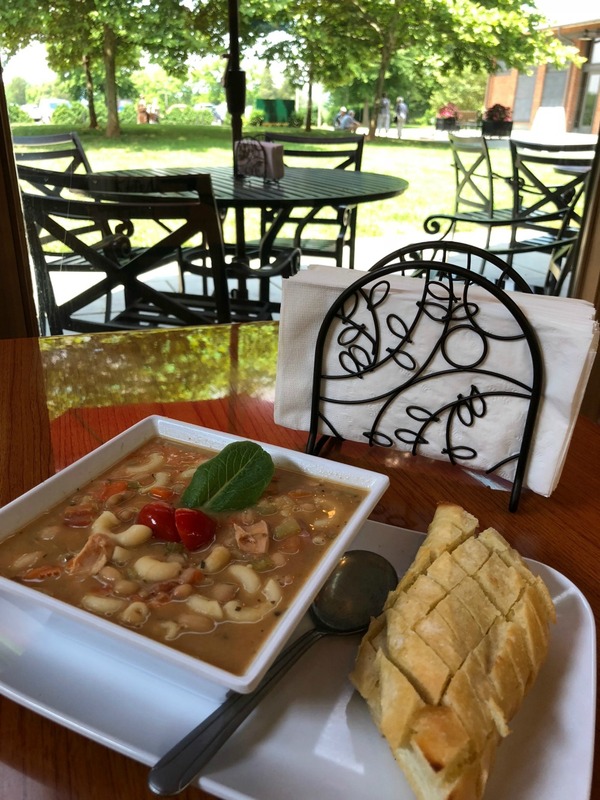 Another lunch option is the Exchange Café at Montpelier, serving yummy award-winning BBQ, sandwiches, Dolley Madison soup, and a wide array of desserts. Have an upscale dinner at Brasserie Saison and The Alley Light, both in the downtown mall. I highly recommend the Cauliflower Gratin and very tasty Tuna Carpaccio from The Alley Light or the Spicy Thai Curry Steamed Mussels and Pickled Shrimp from Brasserie Saison. 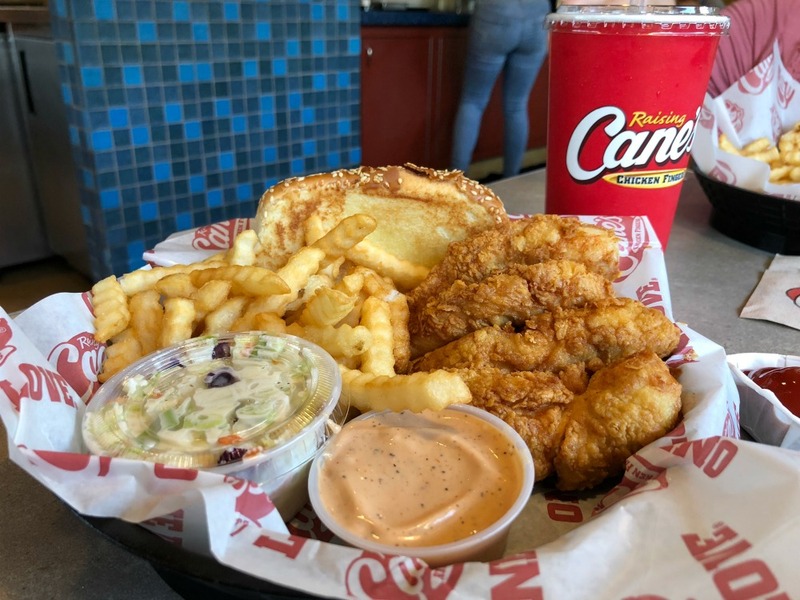 Popular chain restaurants in Charlottesville include Raising Cane’s Chicken Fingers, The Melting Pot, and Outback Steakhouse. The Graduate is a fun boutique hotel chain, where nostaligia meets contemporary furnishings and comfort. 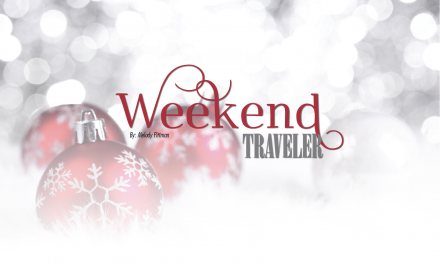 It has a great ambiance, the rooms are spacious, and the rooftop bar is fantastic. 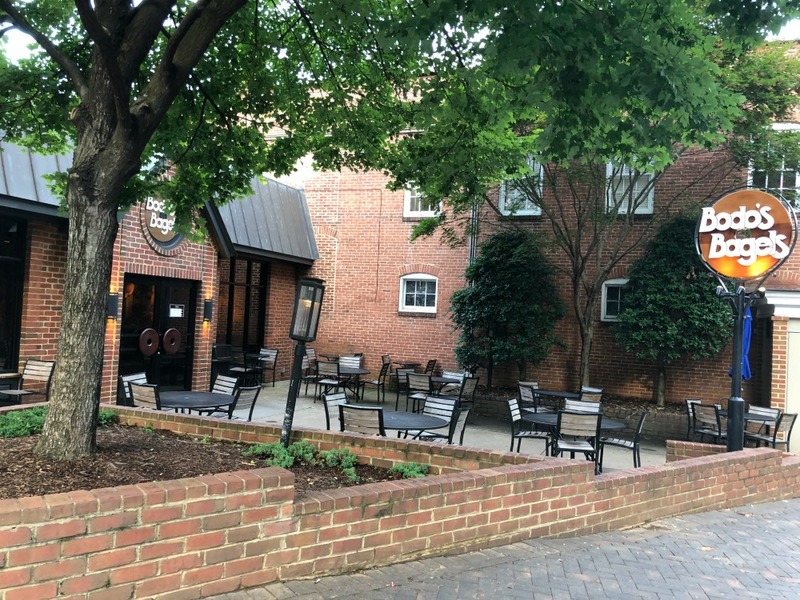 Chain hotels in the Charlottesville, Virginia area include the Hampton Inn & Suites, Courtyard Marriott, and Hyatt Place. All are conveniently located and in the same price range. In nearby Gordonville, consider staying in a yurt (large, glorified teepee) at Shenandoah Crossing. 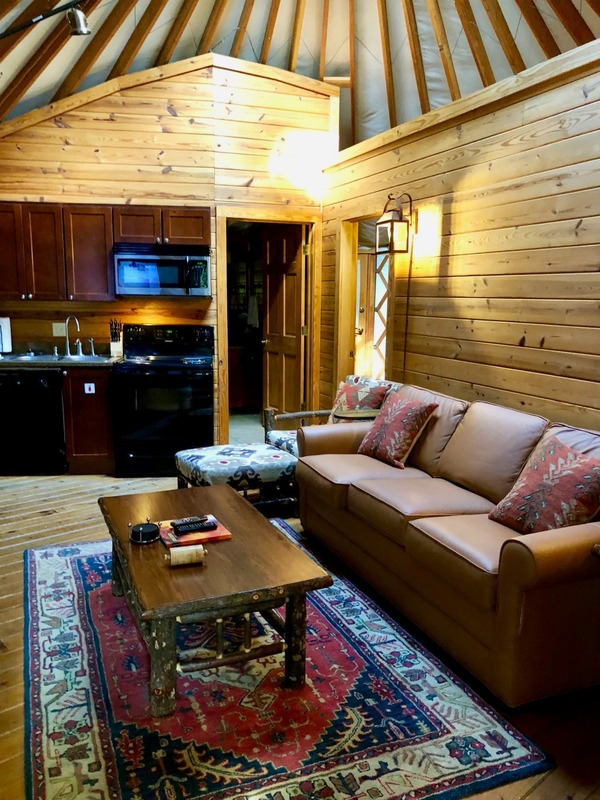 The yurt easily sleeps four to six, has luxury furnishings, a huge bathroom, two full bedrooms, and a full kitchen with dining area. An outside deck holds an electric grill and a table and chairs in a peaceful woodsy setting. Fill your senses with fresh mountain air and your head with educational opportunities in this fantastic city. 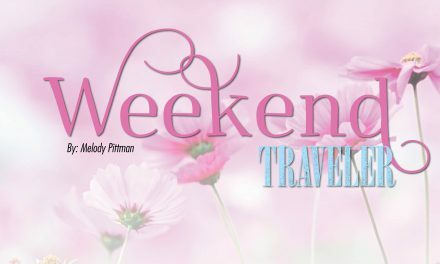 Charlottesville’s warm Southern charm, steeped in tradition, will win you over from the moment you arrive.